Meia Praia is the largest beach in the Lagos area. A dune backed expanse of sand that stretches as far as the faint buildings of Portimão in the distance. A range of apartments sit behind the beach along this stretch, most are within a complex that have their own private pool and amenities. depending on which end of the beach you are staying Lagos town is a 5-15 min walk away, with a convenient foot bridge from the Marina to the avenida in front of the town. At the far end of Meia Praia by road there is Palmares Golf Course. The course is laid out on the side of a south-facing hill overlooking the Bay of Lagos. Stunning views await you and five of the holes are on the sand dunes themselves. There are no villas clustering the fairways so the feeling of openness as you play is very refreshing. 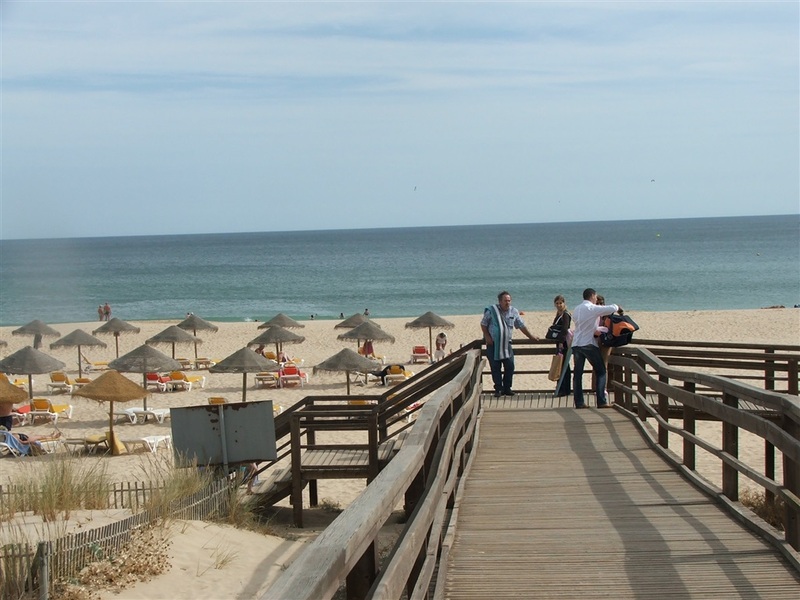 The Meia Praia area is perfect for families and couples who want a quiet location, easy access to clean and safe bathing, all with the town center close by.